AGSelectPR, Bronx NY, Wednesday, March 19, 2014: The Williamsbridge chapter of the National Association for the Advancement of Colored People (NAACP) on Saturday 15th March 2014, honoured classically-trained singer marie-claire for her extraordinary accomplishments and service to the community as part of its Women's History Month celebration. The singer, who was born on the Caribbean island of Dominica, received three awards from President of the Westbridge NAACP, Julian McDavid: a plaque from the NAACP, and a citation each from the New York State Senate and the New York State Assembly. The event's theme was "Honoring women of our day and time." marie-claire, who received her classical training in Italy, Los Angeles and New York, is a regular performer at New York jazz hot spots Farafina Café and Lounge and the Metropolitan Room. She has performed throughout the New York City area including representing the Bronx as a finalist at the 2013 Battle of the Boroughs and performing the American national anthem at a New York Nets vs. Detroit Pistons basketball game Brooklyn's Barclays Center. 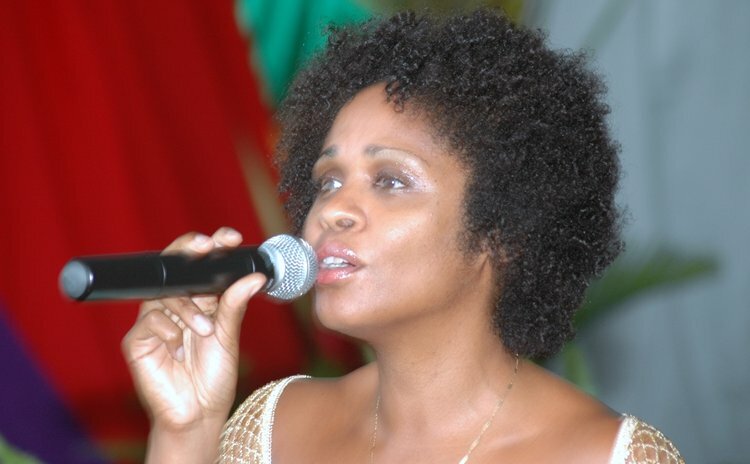 marie-claire has also performed at several festivals and concerts throughout the Caribbean region including LIME Creole in the Park (Dominica) Jamaica Jazz and Blues Festival (Jamaica), Love is all we Need Concert (Antigua), Jazz on the Green (St. Vincent) and le Voces de Jazz Festival (Columbia). 2014 is already a promising year for the singer who is currently penning lyrics to four pieces by Pulitzer Prize composer John Harbison. She was recently cast as a lead in the play "A Mother's Funeral", which will be staged at the Kraine Theater. She is also auditioning for roles on Broadway and in film. marie-claire's next performance takes place at the Farafina Café & Lounge on Friday April 4th at 9:00p.m. and 10:00 p.m.
To find out more about marie-claire visit her official website www.marieclairemusic.com.